Triteleia Rudy (Brodea) has small white & purple star shaped flowers. 65 cm tall & wholesaled in 50 stem wraps. 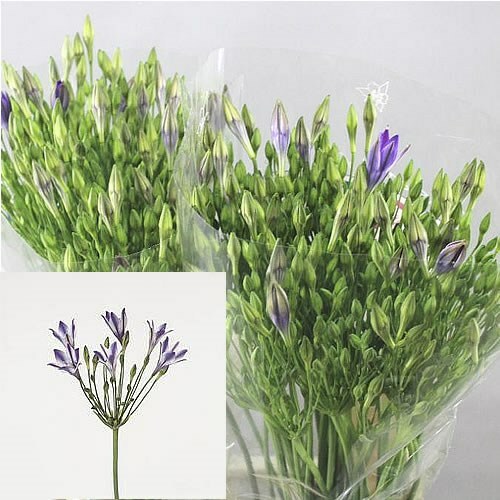 Triteleia, (otherwise known as Brodea and Triplet Lilies), is a small, mostly blue flowering plant native to North West America.